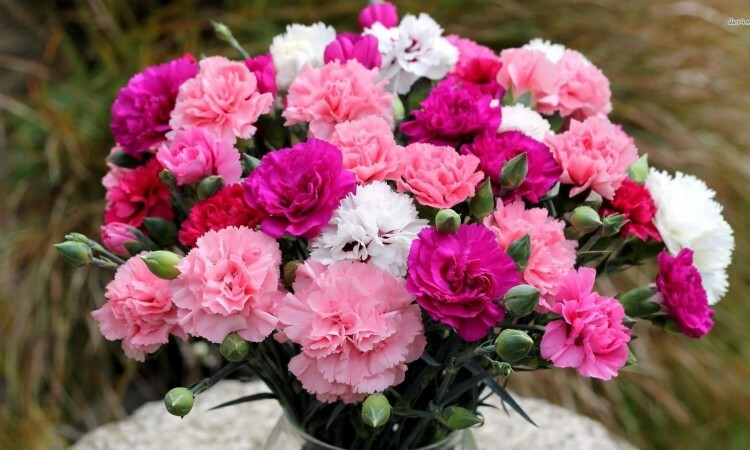 The genus Dianthus is large, but the popular garden flowers are border carnations, growing about 2 1/2 ft. tall, with exquisitely formed blooms and smooth-edged petals, and pinks in a wide variety of shapes, sizes and heights. They need a sunny, well-drained position, but are not suited to areas which have severe winters. 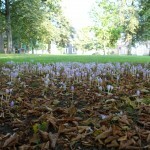 Any soil suits them, so long as it is not very acid, and they are very tolerant of lime. They can be planted during good weather in the fall or spring, setting them firmly but not deeply, burying the roots but not the stem, securing to a 6-in. stake if necessary. Planting distance for border carnations is about 12 in. and for pinks about to in. To improve soil before planting, dig compost or well-rotted manure below the first spit, and hoe bonemeal at 4 oz. per sq. yd. into the top spit. In spring a side-dressing of sulfate of potash at 2 oz., or at 8 oz., per sq. yd. is goad, but potash fertilizers should not be given in the fall as they make the stems brittle in winter. Plants in their second and subsequent years should have a side dressing of a balanced fertilizer. Border carnations need staking with a 3-ft. cane, and they should be disbudded to leave one bud on the central stem and one on each side stem, removing the others when about the size of a small pea. 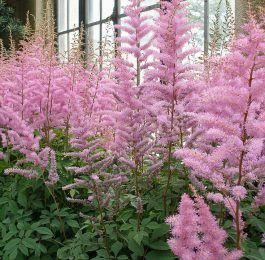 Pinks are not disbudded, and rarely require staking. Border carnations flower in July and August, and old-fashioned pinks in June, and apart from snapping off the old flower stems no special treatment is needed. Most modern pinks flower a second time, and should be thoroughly watered and then given a dressing of complete fertilizer. nail or a pair of thin pliers. Push the open tongue into the ground and secure it in position with a loop of wire. Prepare the ground beforehand by working in a mixture of equal parts of sharp sand and peatmoss. After enough layers are put down, they are watered in and not allowed to become dry while rooting, which takes about six weeks. They are then cut away from the parent and left another week when they can be lifted. 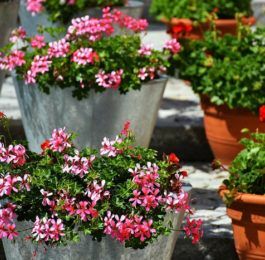 They can be planted out directly or potted up for two weeks before planting. Pinks can be propagated in the same way, but usually cuttings are taken from late June to early August. 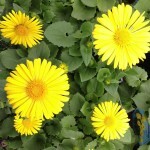 Select strong side shoots for cuttings, and leave four or five fully developed pairs of leaves at the tip. Strip off the pair of leaves below this with a downward pull, exposing the joint. Cut just below the joint with a sharp knife or razor blade. 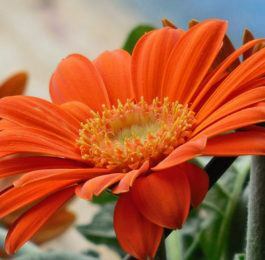 The cutting is inserted in sandy soil up to but not above the next joint, in a pot in a cold frame, exposed to the sky but not the sun, watered and kept in a close atmosphere for three to four weeks, when top growth shows that it has rooted. The cuttings are then hardened off and potted up before planting. Modern pinks sometimes send up the central stem to flower before proper side growth has been made, and if so they must be stopped. This is done when the plants have made ten to twelve joints. Hold the seventh or eighth joint in one hand, and bend the top sharply sideways when it should snap off, or cut it off cleanly just above the joint. Border carnations should never be stopped, and stopping may delay the flowering of old-fashioned pinks for a season. However, a pink should never be allowed to flower unless it has good side growth. The following varieties are easy to grow. All the pinks listed are scented; the scented border carnations are marked Sc. ‘Beauty of Cambridge’, ‘Mary Murray’, yellow. ‘Dad’s Favourite’, white, laced purple.